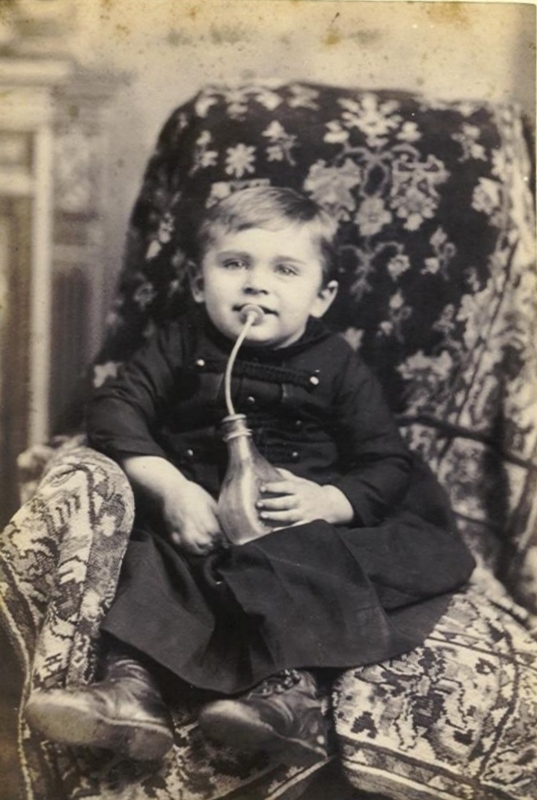 There is evidence that babies have been fed by bottles, cups, jugs or other devices for thousands of years..
For example, hollow cow horns were used to drink in the Middle Ages and with a small bit of soft leather attached, the cow horn was often used to feed babies. 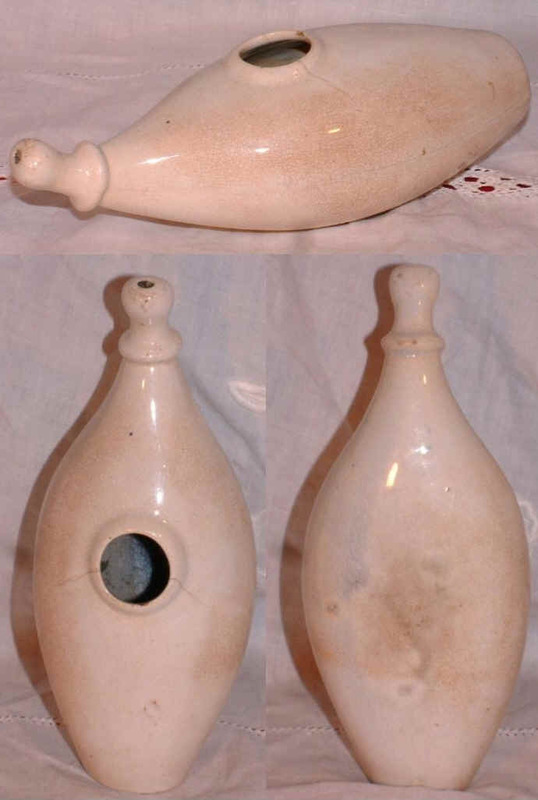 Also across parts of Europe in the 1600’s leather, wood & pewter flask shaped bottles with screw tops were common and some are still surviving today. The early designs had a common theme of poor hygiene and could more often than not be ‘less than clean’. Milk that was contaminated (unpasteurized) and a lack of understanding about the diet needs of a baby contributed to an alarmingly high rate of infant mortality in children under 2 years old. 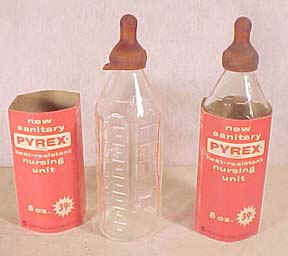 These baby feeders, that resembled the shape of a banjo, eventually acquired the nickname “murder bottles”. 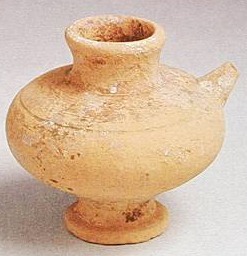 You could be forgiven for confusing these ancient baby feeders for a water jug or an oil lamp. At the beginning of the 1900’s it could be said that the predecessor of the modern baby feeder was ‘born’.